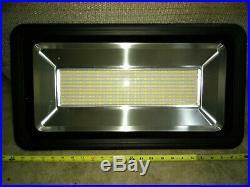 We build these Fixtures to Order. Grounded to US Standards for Your Safety. 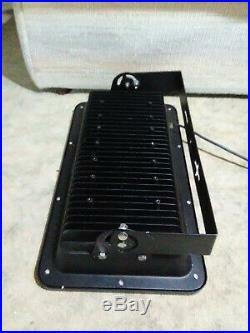 COMMERCIAL LED GROW LIGHT FIXTURE. 2800K Flowering Spectrum 500 TRUE WATTS 48,500 LUMENS 120vac. THESE ARE LARGE, HEAVY FIXTURES. 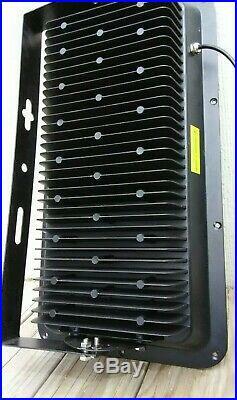 Based on Large Commercial Floodlamp housings with Thick Tempered Glass and huge heat sink fins. Optimized with 2800K 700-800 PPFD High Output Panels. THEY PRODUCE VERY INTENSE LIGHT OUTPUT (DO NOT STARE AT THESE LAMPS WHILE IN USE) PLEASE ALWAYS USE PROPER EYE PROTECTION! NATURAL AUTUMN FLOWERING SUNLIGHT SPECTRUM. THIS IS THE BEST FLOWERING LED ON THE MARKET. 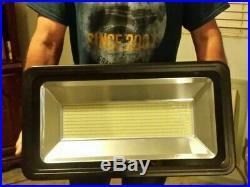 Can Easily REPLACE 600 TO 1000+ WATT HPS. YOU CAN EXPECT PHENOMENAL RESULTS PROMOTING LARGE TIGHT BUD STRUCTURE, HEAVY YIELDS, ALL WHILE USING LESS POWER, MUCH LESS GENERATED HEAT, LOW Co2 CONSUMPTION. The item "LED GROW LIGHT Commercial Flowering Lamp 500 TRUE WATTS 3000K 700-800 PPFD 120v" is in sale since Saturday, March 23, 2019. This item is in the category "Home & Garden\Yard, Garden & Outdoor Living\Gardening Supplies\Hydroponics & Seed Starting\Grow Light Kits". 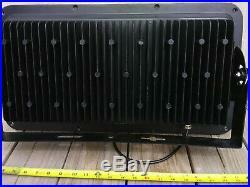 The seller is "theledsolution" and is located in Boulder City, Nevada. This item can be shipped to United States.